Georgie’s neat tailoring and compact proportions are complemented by its stylish slim arms and attractive self-piped detailing to give a contemporary reinterpretation of a classic high back design. 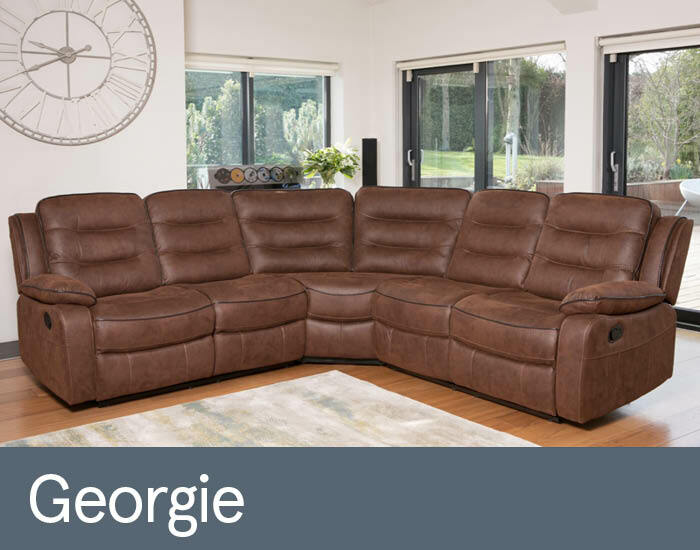 Sit back into Georgie’s generous fibre-filled high backs with their integral head and lumbar support, then recline for complete relaxation. Robust pocket sprung foam seating plus resilient foam arm pads ensure that it’s comfort guaranteed.